Russian markets are likely to open lower Monday due to poor global cues. ­Russian stocks closed lower Friday amid declining oil and commodities prices. The RTS fell 1.6% and the MICEX lost 1.33%. Resurfaced European concerns pushed down the US indices Friday while stronger results from Google failed to cheer up investors. 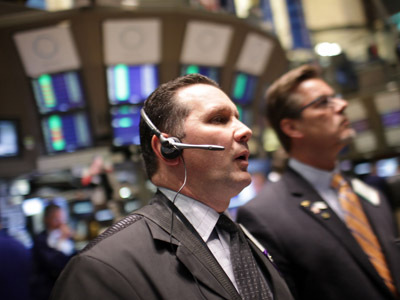 The Dow Jones fell 0.9%, while the NASDAQ shed 1.4% and the S&P 500 declined 1%. European markets closed in the red on Friday, with Spanish equities being among the worst performers amid renewed fears the country could be forced to seek an international bailout. The Stoxx 600 Europe closed 1.4% lower. 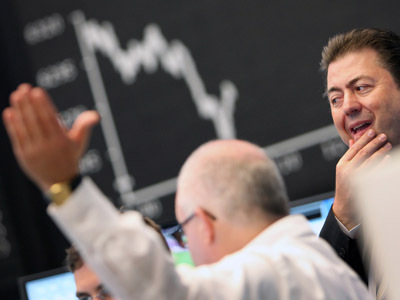 The French CAC 40 dropped 2.1%, while the German DAX 30 fell 1.9%. 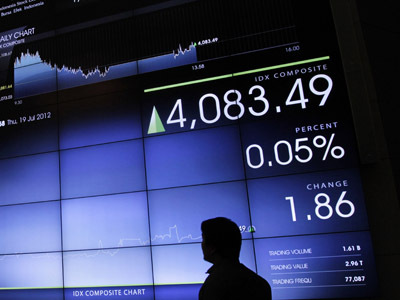 Asian stocks significantly fell Monday amid reports that Greece may not receive another bailout and Spanish banking woes. Hong Kong’s Hang Seng declined 2.5%, while South Korea’s Kospi fell 1.9%. The Shanghai Composite shed 1.2% and Japan’s Nikkei Stock Average declined 1.4%.